Superman American Alien: Who wants to be an American Hero? 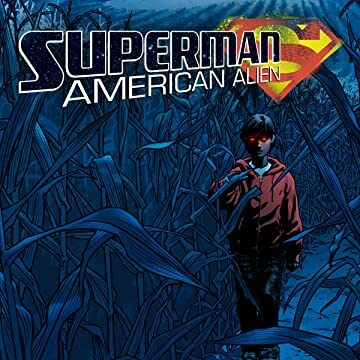 Since I mostly seem to read and write about Marvel comics, it seemed fair that coming back to this little corner of my blog, I´d go with a DC title that I´m loving and will be sad to see go, and that´s Superman American Alien! Those who now me in person, are aware of the fact that I´m not a big Superman fan, I not a Batman fan either -but that´s more ´cause I personally think that the character is way overrated-, so I´m unaware as to what possessed me to start reading this comic; was it the art?, the glowing reviews I read and heard? the fact that it was a limited series? Well… I guess it truly doesn´t matter, the point is that I´m a big fan now and I´m anxious to see what the big DC Rebirth does for the character -I really hope someone is able to imitate what Max Landis was able to do here-. I have stated this before and I´ll do it again, I´m not a big spider-man fan. Don´t get me wrong I like spidey and I watched his cartoons when I was younger, but… he has never been my favorite character. So…, I almost never pick up any of the spider-man comic book events. Spider-verse was the exception. 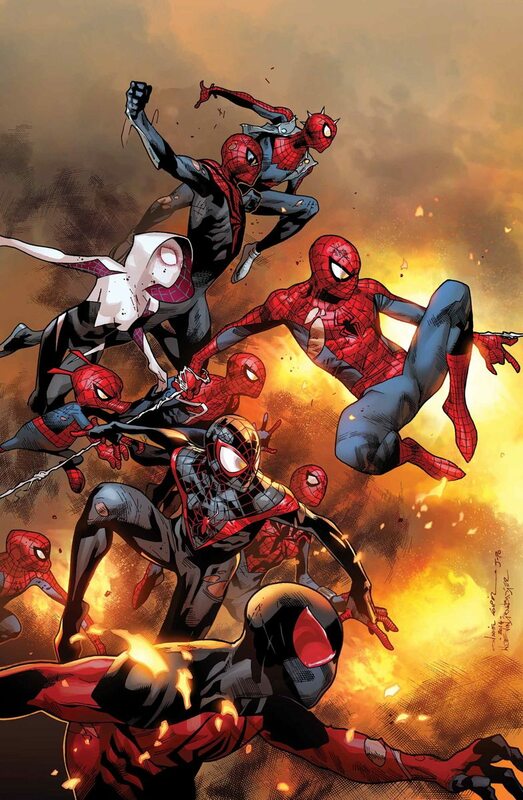 I don´t remember quiet well how I got into the spider-verse, maybe it was while reading Spider-woman, or I may have looked for it after reading about Spider-Gwen, the point is that I read it and liked it! In that event that assembled spider people -and spider animals- from the whole multiverse, is where I met Gwen Stacey as a spider-woman and Cindy Moon as Silk. At the beginning and for almost all of the spider-verse event, Spider-Gwen was the one that pulled my attention; so much that I decided to read her solo comic -more of that in another entry-, but as I was reading Spider-woman I had the opportunity to see some of Silk´s traits; that got me curious so… I began following her comic too. Between the two comics, I though for sure that the one I was going to follow fervently was Spider-Gwen, but… Silk surprised me, the art was gorgeous, her character had a nice and likable personality, an interesting and somehow mysterious background, and more than everything a purpose: finding her family. M.O.D.O.K. Assasin: Mental Organism Designed Only for… Loving? If you had told me a couple of months ago, that M.O.D.O.K. would be the main protagonist of one of my favorite comics to come from the whole Secret Wars event, I´d have asked you: in what universe? I have never liked M.O.D.O.K., probably because I never got his appeal -his design was horrible, he never really seemed like a threat and honestly he reminded me of that annoying know it all kid that seems to be present in every classroom-; and even though I read his short story on Battleworld #1 -I think- and thought of it as entertaining, M.O.D.O.K. just wasn´t my cup of tea.